Richard M. Terek, M.D., a specialist in adult reconstructive surgery and musculoskeletal oncology, is an attending orthopedic surgeon at the Miriam and Rhode Island Hospitals. Dr. Terek performs hip and knee replacements for patients with arthritis at the Total Joint Center at The Miriam Hospital. Dr. Terek is also an expert in the treatment of patients with osteogenic sarcoma, Ewing sarcoma, chondrosarcoma, soft-tissue sarcoma, metastatic cancer (cancers such as breast, prostate or lung which have spread to the bones), and benign bone and soft tissue tumors. These tumors occur in both children and adults. Treatment usually includes removing the tumor and limb or pelvis reconstruction is performed with combinations of artificial joints and bone grafts. Experts in pediatric, adult, and radiation oncology work with Dr. Terek at Rhode Island Hospital and Hasbro Children’s Hospital as part of a multidisciplinary team to cure patients. Dr. Terek is actively involved with teaching medical students at the Warren Alpert Medical School of Brown University and is Director of the Orthopaedic Oncology Laboratory. 1. Terek RM and January CT: Excitability and oscillatory afterpotentials in isolated sheep Purkinje fibers. AM. J. Physiol. 252 (Heart Circ.Physiol. 21): H645-652, 1987. 2. Macey LR, Kana SM, Jingushi S, Terek RM, Boretos J, Bolander ME: Defects of early fracture healing in experimental diabetes. J. Bone and Joint Surg., 71-A(5):722-733, 1989. 3. Joyce ME, Terek RM, Jingushi S, Bolander ME: Role of transforming growth factor-beta in fracture repair. Transforming growth factor-beta chemistry, biology, and therapeutics, Annals New York Acad. Sciences 591: 107-123, 1990. 4. Terek RM, Wehner J, Lubicky JP: The crankshaft phenomenon in congenital scoliosis. J. Pediatr. Orthop. 11:527-532, 1991. 5. Brien EW, Terek RM, Healey JH, Lane JM: Allograft reconstruction after proximal tibial resection for bone tumors: An analysis of function and outcome comparing allograft and prosthetic reconstructions, Clin.Orthop. Rel. Res. 303:116-127, 1994. 6. Terek RM, Jiranek WA, Goldberg MJ, Wolfe HJ, Alman BA: The expression of platelet-derived growth factor gene in Dupuytren disease. J. Bone and Joint Surg, 77-A:1, 1-9, 1995. 7. Alman BA, Naber SP, Terek RM, Jiranek WA, Goldberg MJ, Wolfe HJ: Platelet-derived growth factor in fibrous musculoskeletal disorders: A study of pathologic tissue sections and in vitro primary cell cultures. J. Orthopaedic Research 13(1):67-77, 1995. 8. Brien EW, Terek RM, Healey JH, Brennan ME: Soft tissue sarcomas of the hand. J. Bone and Joint Surg, 77-A,4:564-571, 1995. 9. Terek RM, Brien EW, Marcove RC, Meyers PA, Lane JM, Healey JH: Treatment of Femoral Ewing’s Sarcoma. Cancer, 78:70-77, 1996. 10. DaSilva MF, Terek RM, Weiss APC: Malignant eccrine poroma of the hand. J Hand Surg, 22A:511-514, 1997. 11. Terek RM, Healey JH, Garin-Chesa P, Mak S, Huvos A, Albino AP: p53 mutations in chondrosarcoma. Diagnostic and Molecular Pathology, 7(1):51-56, 1998. 12. Terek RM, Schwartz GK, Devaney K, Glantz L, Healey JH, Mak S, Albino P: Multidrug Resistance Gene Expression in Chondrosarcoma, J Ortho Res, 16:585-590, 1998. 13. Lambiase RE, Levine SM, Terek RM, Wyman JJ: Long bone surface osteomas: Imaging features that may help avoid unnecessary biopsies. American Journal of Radiology, 171:775-778, 1998. 14. Wyman JJ, Hornstein AM, Meitner P, Mak S, Verdier P, Block JA, Pan J, Terek RM: The multi-drug resistance-1 gene in chondrosarcoma cell lines: Expression correlates with decreased intracellular doxorubicin levels and in vitro chemosensitivity resistance. J Orthop Res, 17:935-940, 1999. 15. Hulsizer DL, Hornstein AM, Levine SM, Terek RM: Collision tumor involving an enchondroma, Orthopaedics, 23(12):1281-1284, 2000. 16. McGough R,Wang LJ, Gnepp D, Terek RM: Metastatic mixed tumor arising in bone. A case report and review of the literature. J Bone Joint Surg Am. 2001 Sep;83-A(9):1396-402. 17. Terek RM, Nielsen, GP: Case Records of the Massachusets General Hospital, N Engl J Med 2001, 345(12):903-908. 18. Greisberg JK, Wolfe JM, Wyman J, Zou L, Terek RM: Gadolinium inhibits thymidine incorporation and induces apoptosis in chondrocytes. J Orthop Res. 2001 Sep;19(5):797-801. 19. McGough R, Fadale P, Terek R: Soft tissue sarcoma masquerading as a compartment syndrome, Orthopaedics, Nov;26(11):1151-2, 2003. 20. Lin C, Mak S, Meitner PA, Wolf JM, Blumen EM, Block JA, and Terek RM: Cancer/testis antigen CSAGE is concurrently expressed with MAGE in chondrosarcoma. Gene 285 (2002) 269–278. 21. McGough R, Aswad B, and Terek R: Pathologic neovascularization in cartilage tumors. Clin Orthop. 2002 Apr;(397):76-82. 22. McGough RL,Lin C, Meitner P, Aswad BI, Terek RM: Angiogenic Cytokines in Cartilage Tumors. Clin Orthop. 2002 Apr;(397):62-9. 23. Lin C, Meitner PA,Terek RM: PTEN Mutation Is Rare in Chondrosarcoma. Diagn Mol Pathol. 2002 Mar;11(1):22-6. 24. Greisberg JK, Bliss M, Terek RM: The prevalence of nitrous oxide in apoptotic chondrocytes of osteoarthritis. Osteoarthritis and Cartilage. 2002 Mar;10(3):207-11. 25. Alford JW, Tashjian R, Terek RM: Pigmented villonodular synovitits of the knee presenting as sciatica. J of Knee Surgery. 2003, July 16(3):182-84. 26. Lin C, McGough R, Aswad B, Block JA, Terek RM: Hypoxia induces HIF-1alpha and VEGF expression in chondrosarcoma cells and chondrocytes . J Orthop Res. 2004 Nov;22(6):1175-81. 27. Terek RM, Hulstyn MJ: Osteoarticular allograft reconstruction for tumors of the distal femur and proximal tibia. Operative Techniques in Orthopaedic Surgery, 14:236-242, 2005. 28. Nickisch F, Tashjian RZ, Ritter M, Terek R, and DiGiovanni C: Primary malignant non-Hodgkin’s lymphoma of the talus: a case report. Foot & Ankle International, 2005 Jul;26(7):568-71. 29. Wei L, Sun X, Terek R, Chen Q. Down-Regulation of A Chemokine Receptor CXCR4 by Small Interfering RNA Inhibits MMP13 Release and Enhances TIMP 1 Expression in Articular Chondrocytes. Osteoarthritis and Cartilage 2005; 13: Supplement A S29. 30. Wei L, Sun X, Kanbe K, Wang Z, Sun C, Terek R, and Chen Q: Chondrocyte Death Induced by Pathological Concentration of Chemokine Stromal Cell-Derived Factor-1. The Journal of Rheumatology 2006; 33:9. 32. Tashjian RZ, Lin C, Aswad B, Terek, RM: 11?-Hydroxysteroid Dehydrogenase Type 1 Expression in Periprosthetic Osteolysis. Orthopedics, 2008; 31:545. 33. Sun X, Wei L, Chen Q, Terek RM. HDAC4 represses vascular endothelial growth factor expression in chondrosarcoma by modulating RUNX2 activity. J Biol Chem. 2009 Aug 14;284(33):21881-90. 34. Sun X, Wei L, Chen Q, Terek RM. CXCR4/SDF1 mediate hypoxia induced chondrosarcoma cell invasion through ERK signaling and increased MMP1 expression. Mol Cancer. 2010 Jan 26;9:17. 35. Wei L, Kanbe K, Lee M, Wei X, Pei M, Sun X, Terek R, Chen Q. Stimulation of chondrocyte hypertrophy by chemokine stromal cell-derived factor 1 in the chondro-osseous junction during endochondral bone formation. Dev Biol. 2010 May 1;341(1):236-45. 36: Schraeder TL, Terek RM, Smith CC. Clinical evaluation of the knee. N Engl J Med. 2010 Jul 22;363(4):e5. 37. Terek RM et al: CXCR4 Targeted Therapy Inhibits VEGF Expression and Chondrosarcoma Angiogenesis, Clin Orthop Rel Res, in press. 38. Guan Y, Chen Q, Yang X, Haines P, Pei M, Terek R, Wei X, Zhao T, and Wei L: Subcellular Relocation of Histone Deacetylase 4 Regulates Growth Plate Chondrocyte Differentiation through Ca2+/Calmodulin-Dependent Kinase IV. American J Physiology - Cell Physiology, 2012 Mar 21. 39. Wei F, Zhou J, Wei X, Zhang J, Fleming BC, Terek R, Pei M, Chen Q, Liu T, Wei L: Activation of Indian Hedgehog Promotes Chondrocyte Hypertrophy and Upregulation of MMP-13 in Human Osteoarthritic Cartilage. Osteoarthritis and Cartilage, 2012 Mar 30. 1. Rosenthal H. Terek R, Lane J: Management of extremity soft-tissue sarcomas. Clin. Ortho. Rel. Res. 289:66 72, 1993. 2. Terek RM, Brien EW, Marcove RC, Meyers PA, Lane JM, Healey JH: Long-term survival and function after surgery for Ewing's tumor of the femur. Limb Salvage, Current Trends, Proceedings Seventh International Symposium, 413-417, 1993. 3. Terek RM: Tumors of the elbow and forearm. Hand Clinics of North America, 10:3, 343-351, 1994. 5. Terek RM: Sarcoma of Bone. Medicine and Health/Rhode Island, 80:(1) 19-24, 1997. 6. Chang HA, Chung M, Terek RM: Biology of Sarcomas. Medicine and Health/Rhode Island, 80(1) 8-14, 1997. 7. Kurkchubasche AG, Halvorson EG, Forman EN, Terek RM, Ferguson WS: The Role of preoperative chemotherapy in the treatment of infantile fibrosarcoma. J Pediatr Surg 35:880-883, 2000. 8. Terek RM: Angiogenesis in Chondrosarcoma, Current Opinions in Orthopaedics, 13(6):449-53, 2002. 9. Terek, RM: Recent advances in the basic science of chondrosarcoma. Orthopaedic Clinics, 37(1), January, 2006. 10. Terek RM, Sun X, Allen S: Molecular Mechanisms of Angiogenesis in Chondrosarcoma. US Musculoskeletal Review 2008; 3(1):48. 11. Guise TA, O’Keefe R, Randall RL, Terek RM: Molecular Biology and Therapeutics in Musculoskeletal Oncology, J Bone and Joint Surgery (Am) 2009;91-A(3):724-732. 12. Daniels A, Schiller J, Valdes M, Schiller A, Terek R: Benign Tumors of the Spine, J American Acad Ortho Surgeons, in press. 1. Healey JH, Terek RM: Management of bone and soft tissue tumors around the knee. In: The Knee, edited by W.N. Scott. Mosby, St. Louis, 1993. 2. Hough TJ, Tung GA, Terek RM: Staging. In: Imaging of Soft Tissue Tumors, edited by DeSchepper AM, Parizel PM, Ramon F, DeBeuckeleer L, Vandevelenne JE. Springer-Verlag, Berlin, 1996. 3. Terek RM: Cartilage Neoplasia as a Model of Chondrogenesis. In: Skeletal Growth and Development, edited by JA Buckwalter, MG Ehrlich, LJ Sandell, SB Trippel American Academy of Orthopaedic Surgeons, Rosemont, IL 1998. 4. O’Keefe R, Terek RM: Musculoskeletal Oncology. In: Orthopaedic Knowledge Update 6, edited by Beaty JH. American Academy of Orthopaedic Surgeons, Rosemont, IL 1999. 5. Levine S, Hough TJ, Tung GA, Terek RM: Staging. In: Imaging of Soft Tissue Tumors, 2nd edition, edited by DeSchepper AM, Parizel PM, Ramon F, DeBeuckeleer L, Vanhoenacker F. Springer-Verlag, Berlin, 2001. 6. Terek, RM: Physiology of Tumors. In: Orthopaedic Knowledge Update: Musculoskeletal Tumors, edited by Lawrence R. Menedez. American Academy of Orthopaedic Surgeons, Rosemont, IL, 2002. 7. Terek, RM: Radiation-Induced Sarcomas. In: Orthopaedic Knowledge Update: Musculoskeletal Tumors, edited by Lawrence R. Menendez. American Academy of Orthopaedic Surgeons, Rosemont, IL, 2002. 8. Scarborough, M.T., Aboulafia, A.J., Cheng, E.Y., McGrath, B.E., Moreau, G., Neel, M.D., O’Connor, M.I., Peabody, T.D., Raymond, A.K., Reith, J., Terek, R.M., Wiener, S.D., Musculoskeletal Tumors and Diseases, Self-Assessment Examination. American Academy of Orthopaedic Surgeons, Rosemont, 2002. 9. Terek RM: Molecular Tumor Markers. In: Molecular Biology in Orthopaedics edited by Rosier RN, Evans CH. American Academy of Orthopaedic Surgeons, Rosemont, IL 2003. 10. Terek RM: Soft Tissue Tumors: In: Hand Surgery. Edited by Berger R and Weiss APC. Lippincott Williams and Wilkins, Philadelphia, 2003. 11. Langer P, Terek RM: Core Knowledge in Orthopaedics: Foot and Ankle. Edited by DiGiovanni C and Greisberg J. Elsevier Science Publishers, 2007. 12. Levine S, Terek RM, Hough TJ, Tung GA: Staging. In: Imaging of Soft Tissue Tumors, 3rd edition, edited by De Schepper, A.M.; Vanhoenacker, F.; Parizel, P.M.; Gielen, J.Springer-Verlag, Berlin, 2006. 13. Hinds RM, Terek RM. Rhabdomyosarcoma. In: Domnio F, Baldor R, Golding J, Grimes JA, Taylor JS, eds. The 5-Minute Clinical Consult, 2013 Edition. Philadelphia: Lippincott Williams & Wilkins, 2013: pp. 1142-1143. 1. Terek RM: Molecular biology techniques in soft tissue lesions and fracture healing. Musculoskeletal Tumor Society Annual Meeting, Washington, D.C., 1992. 2. Terek RM, Brien EW, Mirra JM, Ashworth CR: Instructional Course Symposia, Management of soft tissue sarcomas of the hand. American Society for Surgery of the Hand, 49th Annual Meeting, Cincinnati, Ohio, 1994. 3. Terek RM: Cartilage Neoplasia as a Model of Chondrogenesis. NIH/AAOS Workshop on Skeletal Growth and Morphogenesis, Howey-in-the-Hills, Florida, 1997. 4. Terek RM: CPC, Massachusetts General Hospital, November 18, 1999. 8. Terek, R: Development and Sarcomas. American Academy of Orthopaedic Surgeons 2006 Research Symposium "Developmental Biology in Orthopaedics" Toronto, Oct 26-28, 2006. 1. Terek RM: TGF-beta and fracture healing. Illinois Orthopaedic Society, Chicago, Illinois, May, 1988. 2. Terek RM: Treatment of Osteogenic Sarcoma. Rhode Island Hospital, Brown University, Department of Orthopaedics Grand Rounds, Providence, Rhode Island, November, 1992. 3. Terek RM, Marcove RC, Healey JH: The Tikhoff-Linberg resection and shoulder reconstruction. Memorial Sloan-Kettering Cancer Center, Department of Surgery Grand Rounds, New York, New York, March, 1992. 4. Terek RM: Bone neoplasms: Etiology, histology, staging, treatment, and research applications. Memorial Sloan-Kettering Cancer Center, Cancer Data Base In-Service Training, New York, New York, October, 1992. 5. Terek RM: Multidisciplinary Treatment of Bone and Soft Tissue Tumors. Surgical Grand Rounds, Beverly Hospital, Beverly, MA, December, 1993. 6. Terek RM: Multidisciplinary Treatment of Bone and Soft Tissue Tumors. Oncology Grand Rounds, Lawrence and Memorial Hospital, New London, CT, December, 1993. 7. Terek RM: Multidisciplinary Treatment of Bone and Soft Tissue Tumors. Medical Grand Rounds, St. Joseph Hospital, North Providence, RI, December, 1993. 8. Terek RM: Limb Salvage Surgery for Bone Tumors in Children. Pediatric Hematology/Oncology Conference, Rhode Island Hospital, January, 1994. 9. Terek RM: Treatment of Ewing’s Sarcoma. Orthopaedic Surgery Grand Rounds, Rhode Island Hospital, January, 1994. 10. Terek RM: Musculoskeletal Pain in Children-Do Growth Pains Exist?. Pediatric Grand Rounds, Rhode Island Hospital, January, 1994. 11. Terek RM: Bone Tumors. Rheumatology Grand Rounds, Roger Williams Medical Center, January, 1994. 12. Terek RM: Multidisciplinary Treatment of Bone and Soft Tissue Tumors. Orthopaedic Grand Rounds, University of Massachusetts, Worcester, MA February, 1994. 13. Terek RM: Update on Therapy for Metastatic Bone Disease. Medical Grand Rounds, Roger Williams Medical Center, February, 1994. 14. Terek RM: Orthopedics: Bone Tumors, Tumor Markers: What Are They and What Do They Mean? and Bone and Soft Tissue, Measurable Outcome Improvements for Cancer Therapy. Rhode Island Chapter of the American College of Surgeons/Providence Surgical Society and the American College of Surgeons, 1994 Jesse P. Eddy Symposium: A Multidisiciplinary View of Cancer Management, Providence, Rhode Island, March, 1994. 15. Terek RM: Bone and Soft Tissue Tumors. Surgery Grand Rounds, Saint Luke’s Hospital, New Bedford, MA March, 1994. 16. Terek RM: Limb Salvage Surgery for Treatment of Bone and Soft Tissue Sarcoma of the Extremity. Medical Grand Rounds, Charlton Memorial Hospital, Fall River, MA April, 1994. 17. Terek RM: Multidisciplinary Treatment of Bone and Soft Tissue Tumors. Medical Grand Rounds, Faulkner Hospital, Boston, MA, May, 1994. 18. Terek RM: Pediatric Bone Tumors. Pediatric Grand Rounds, Rhode Island Hospital, Providence RI, June, 1994. 19. Terek RM: Controversies in the treatment of extremity soft-tissue sarcoma. Cancer Grand Rounds, Rhode Island Hospital, Providence, Rhode Island, April, 1995. 20. Terek RM: Staging and treatment of bone tumors. Tumor Registrars Association of New England Annual Meeting, Providence, Rhode Island, November, 1995. 21. Terek RM: Ewing’s Sarcoma: Osseous and Extraosseous. Brown University Department of Surgery Grand Rounds, Providence, Rhode Island, October, 1996. 22. 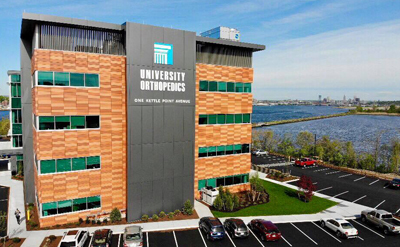 Terek RM: Orthopaedic Oncology in Rhode Island. Rhode Island Orthopaedic Society, Providence, Rhode Island, December, 1996. 23. Terek RM: The patient with bone cancer, NAON:RI Chapter, RI Hospital Orthopedic Nurses, Rhode Island Hospital, Providence, RI, April 1998. 25. Imaging of Chondroid Tumors. Richmond Orthopaedic Society, Richmond, VA December 16, 1999. 26. Treatment of Soft Tissue Sarcoma. Orthopaedic Grand Rounds, Medical College of Virginia, Richmond, VA December 17, 1999. 27. Imaging of Chondroid Tumors. Orthopaedic Grand Rounds, University of Massachusetts, Worcester, MA April 18, 2001. 35. Terek R: Orthopaedic Oncology Imaging, Rhode Island Hospital School of Diagnostic Imaging, 5th Annual Imaging Symposium – Oncology, Sept. 24, 2011. 1. Terek RM, Brien EW, Marcove RC, Meyers PA, Lane JM, Healey JH: Long-term results after surgery for Ewing's tumor of the femur. Seventh International Symposium on Limb Salvage, Singapore, 1993. 2. Terek RM, Brien EW, Lane JM, Healey JH: Osteoarticular allografts around the knee. Eight International Symposium on Limb Salvage, Florence, Italy, 1995. 3. Brien E, Terek R, Brennan M, Healey J: Management of Soft Tissue Sarcomas of the Hand. Third Joint Meeting of the American and European Musculoskeletal Tumor Societies, Florence, Italy, 1995. 4. Terek RM, Mak S, Block JA, Bliss M: Cloning of a novel chondrosarcoma associated gene. Fourth Combined Meeting of the American and European Musculoskeletal Tumor Societies, Washington, D.C., 1998. 5. Terek RM, Wyman J, Hornstein A, Meitner P, Mak S, Verdier P, Block JA, Pan J: The multi-drug resistance gene in chondrosarcoma cell lines. Transactions of the 4th Combined Meeting of the American and European Musculoskeletal Tumor Societies, 1998. 6. Wyman J, Greisberg J, Wolf J, Zou L, Terek R: The effects of gadodiamide on proteoglycan production, cell proliferation, and apoptosis in chondrocytes. Third Symposium of the International Cartilage Repair Society, Goteberg, Sweden, 2000. 7. Tashjian RZ, Lin C, Terek RM. IL1-b and TNFa upregulate 11b-hydroxysteroid dehydrogenase type 1 (11b-HSD1) in cultured fibroblast cells: Implications for periprosthetic osteolysis. Poster exhibit at the 2004 Canadian Orthopedic Research Society Annual Meeting, Calgary, Alberta, Canada, June 18 - 20, 2004. 1. Boretos JW, Terek RM, Girton ME, Doppman JL: Cohesive and frictional reduction of intra-arterial microcatheters. Thirty-third Annual Conference on Engineering, Medicine, and Biology, Washington, D.C., 1981. 2. Boretos JW, Dingler WL, Terek RM, Edwards KJ, Wilkins JF, Girton ME, Doppman JL: Integral balloon catheter for interventional radiology. Thirty-third Annual Conference on Engineering, Medicine, and Biology, Washington, D.C., 1981. 3. Terek RM and January CT: Strength-interval curves in normal and acetylstrophanthidin toxic sheep Purkinje fibers. Federation of the American Society of Experimental Biologists, Chicago, Illinois, 1983. 4. Nemeth GG, Heydemann A, Jingushi S, Terek R, Bolander ME: Temporal activation and abnormal regulation of cartilage and bone genes in fracture healing. Second International Conference on Molecular Biology and Pathology of Matrix, Philadelphia, Pennsylvania, 1988. 5. Terek RM, Nemeth GG, Heydemann A, Joyce ME, Macey LR, Bolander ME: Transforming growth factor-beta suppresses cartilage specific gene expression during endochondral bone repair. The American Society for Clinical Investigation, Washington, D.C., 1989. 6. Terek RM, Nemeth GG, Heydemann A, Bolander ME: Transforming growth factor-beta suppresses type II collagen gene expression in fracture healing. Transactions, Orthopaedic Research Society, Las Vegas, Nevada, 1989. 7. Terek RM, Wehner J, Lubicky JP: The crankshaft phenomenon in congenital scoliosis. The Scoliosis Research Society, Honolulu, Hawaii, 1990. 8. Joyce ME, Terek RM, Jingushi S, Heydemann A, Romero A, Bolander ME: Fracture callus organ culture: an in vivo model for fracture healing. Transactions of the Orthopaedic Research Society, 15:409, 1990. 9. Nixon R, Terek R, Farless B, Dobozi W: Sequential measurement of compartment pressures after intramedullary fixation of femur fractures. Proceedings, 58th Annual Meeting, American Academy of Orthopaedic Surgeons, 1991. 10. Terek RM, Jiranek WA, Alman BA, Alessandro DA, Machado ML, Membrino WM, Ruby LK, Goldberg MJ, Naber SP, Wolfe HJ: C-sis expression in Dupuytren's disease. The Orthopaedic Research Society, Washington, D.C., 1992. 11. Alman BA, Terek RM, Jiranek WA, Naber SP, Goldberg MJ, Wolfe HJ: The control of growth of fibrous lesions of the musculo-skeletal system, the role of the c-sis gene and PDGF. The Orthopaedic Research Society, Washington, D.C., 1992. 12. Alman BA, Jiranek WA, Naber SP, Terek RM, Goldberg MJ, Wolfe HJ: Inappropriate c-sis proto-oncogene expression in fibrous dysplasia: an in situ and PCR study. United States and Canadian Academy of Pathology Annual Meeting, Atlanta, Georgia, 1992. 13. Brien EW, Terek RM, Geer RJ, Caldwell C, Brennan MF, Healey JH: Soft-Tissue Sarcoma of the Hand: A Therapeutic Dilemma, Eastern Orthopaedic Association, Orlando, Florida, 1993. 14. Terek RM, Marcove RC, Meyers PA, Lane JM, Healey JH: Long-term results after resection of femoral Ewing's sarcoma. Society of Surgical Oncology, Los Angeles, California, 1993. 15. Terek RM, Brien EW, Lane JM, Marcove RC, Healey JH: Long-term results after resection of Ewing's tumor of the femur. 46th Cancer Symposium, Society of Surgical Oncology, Los Angeles, CA, 1993. 18. Terek RM: Chemotherapy and multi-drug resistance gene expression in chondrosarcoma. Musculoskeletal Tumor Society, Rochester, Minnesota, 1994. 20. Brien EW, Terek RM, Lane JM, Healey JH: Reconstruction after proximal tibial resection for bone tumors. Western Orthopaedic Association, Long Beach, CA, 1994. 21. Brien EW, Terek RM, Healey JH, Brennan MF: Management of soft tissue sarcomas of the hand. The American Society for Surgery of the Hand 49th Annual Meeting, Cincinnati, Ohio, 1994. 22. Brien EW, Terek RM, Healey JH, Brennan MF: Management of soft tissue sarcomas of the hand. Western Orthopaedic Association, Long Beach, CA, 1994. 23. Ladanyi M, Jhanwar S, Terek R, Cordon-Cardo C, Latres E, Healey J: Prevalence and implications of MDM2 gene amplification in human bone sarcomas. Fortieth Annual Meeting of the Orthopaedic Research Society, New Orleans, Louisiana, 1994. 24. Terek RM, Schwartz GK, Healey JH, Pobre T, Marcove RC, Lane JM, Albino A: Chemotherapy and multidrug resistance gene expression in chondrosarcoma. Transactions, Fortieth Annual Meeting of the Orthopaedic Research Society, 1994. 25. Terek RM, Mak S: Differential Gene Expression in Chondrosarcoma. Transactions of the 42nd Annual Meeting of the Orthopaedic Research Society, 1996. 26. Wyman JJ, Hornstein AM, Meitner P, Mak S, Verdier P, Block JA, Pan J, Terek RM: The multi-drug resistance gene in chondrosarcoma cell lines: Expression correlates with decreased intracellular doxorubicin levels and in vitro chemosensitivity resistance. Transactions of the 44th Annual Meeting of the Orthopaedic Research Society, 1998. 27. Terek RM, Mak S, Block JA, Bliss M: Cloning of a novel chondrosarcoma associated gene. 44th Annual Meeting of the Orthopaedic Research Society, 1998. 28. Terek RM, Mak S, Block JA, Bliss M: Cloning of a novel chondrosarcoma associated gene. Transactions of the 51st Annual Meeting of the Society of Surgical Oncology Cancer Symposium, 1998. 29. Terek RM, Mak S, Block JA, Grunstein I: Complete cloning of the IK gene and its expression in cartilage and chondrosarcoma. Transactions of the 44th Annual Meeting of the Orthopaedic Research Society, 1998. 58. Terek RM, Snyder BD, Nazarian A, Entezari V, Hipp JA, Calderon N, Damron TA, Cheng EY, Aboulafia AJ, Anderson ME, Gebhardt MC: CT-based structural rigidity analysis alters the course of treatment in patients with skeletal metastases: A prospective diagnostic study. Clinical and Translational Research and Education: ACRT/SCTS Joint Annual Meeting, April 5-7, Washington, DC 2010. 59. Sun, X; Terek, R: CXCR4/SDF-1 Promote Angiogenesis in Chondrosarcoma. Annual Meeting of the Orthopaedic Research Society. , New Orleans, LA, 2010. 60. Wei, L; Kanbe, K; Wei, X; Sun, X; Terek, R; Chen, Q: Stimulation of Chondrocyte Hypertrophy by Chemokine Stromal Cell-Derived Factor 1 in the Chondro-osseous Junction through a Positive Feedback Loop Mediated by Runx2. Annual Meeting of the Orthopaedic Research Society. , New Orleans, LA, 2010. 62. Terek R; Sun, X: Mir-126 Inhibits VEGF Expression and Proliferation in Chondrosarcoma Cells. Annual Meeting of the Orthopaedic Research Society., Long Beach, CA, 2011. 63. Tomkins M; PallerD; Moore D; CriscoJ; Terek R: Locking Buttons Optimize Fatigue Life of Locking Plates in Allograft Nonunion Model. Annual Meeting of the Orthopaedic Research Society. , Long Beach, CA, 2011. 1. Grunstein I, Mak S, Terek R: Cloning and expression of IK-related gene in cartilage and chondrosarcoma cell lines. Biomedical Research Day Poster Session, Brown University, Providence, Rhode Island, April, 1997. 2. Terek RM, Mak S, Block JA, Bliss M: Cloning of a novel chondrosarcoma associated gene. Lifespan 6th Annual Research Celebration, 1998. 3. Wyman JJ, Hornstein AM, Meitner P, Mak S, Verdier P, Block JA, Pan J, Terek RM: The multi-drug resistance gene in chondrosarcoma cell lines: Expression correlates with decreased intracellular doxorubicin levels and in vitro chemosensitivity resistance. Lifespan 6th Annual Research Celebration, 1998. 7. Terek R: RIH COBRE for Skeletal health and Repair, “Anti-Angiogenesis Strategies for Chondrosarcoma”, Second Annual RI Research Alliance, Providence, RI, Oct 2, 2009.